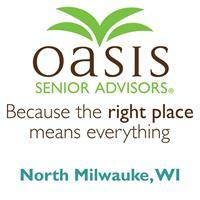 Oasis Senior Advisors is a FREE service for families to help them find senior living and care options. The mission of Oasis is to reduce the time and stress on seniors and their families when searching for alternative living options. Our dedicated and compassionate Senior Living Advisors will work with seniors and their loved ones to identify preferences, health care needs, location and financial considerations and diligently work with each unique senior in a personalized way to help them find the ‘perfect fit’ for their specific situation. Oasis Senior Advisors was developed in Maryland, and we remain a local and personal resource, helping families with visits and touring if they want the extra assistance. Let Oasis Senior Advisors be your resource and support you and your family’s needs during this challenging time.